Romney to Harry Reid: I pay "a lot of taxes"
(CBS News) Mitt Romney pays "a lot of taxes" every year, the presumptive GOP presidential nominee told reporters Friday in an attempt to quell the accusation from Senate Majority Leader Harry Reid, D-Nev., who said that Romney hasn't paid taxes in 10 years. "Harry Reid really has to put up or shut up," Romney said following a speech in North Las Vegas, repeating a line he used Thursday in response to Reid's insistence that he has it from an anonymous but "extremely credible" source that Romney's been using his wealth to sidestep having to pay taxes for the past decade. "So Harry, who are your sources?" Starting Thursday, Reid called on Romney to release more of his tax returns to help clear up questions about his offshore accounts and to "prove" he's been paying taxes. To date, Romney has released his 2010 tax return and an estimate for 2011. He promised Friday to release the most recent return as soon as it's available. 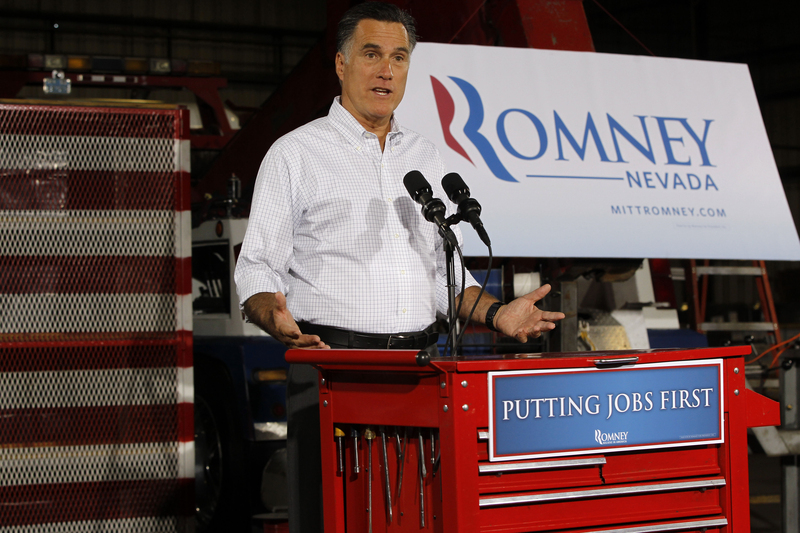 "Let me also say, categorically, I have paid taxes every year - and a lot of taxes," Romney said. "So Harry is simply wrong. And that is why I am so anxious for him to give us the names of the people who put this forward. I wouldn't be at all surprised to hear the names are people from the White House or the Obama campaign." Romney said he suspects Reid is "trying to throw anything up on the screen" to deflect attention from the July jobs report, which showed an uptick in employment.